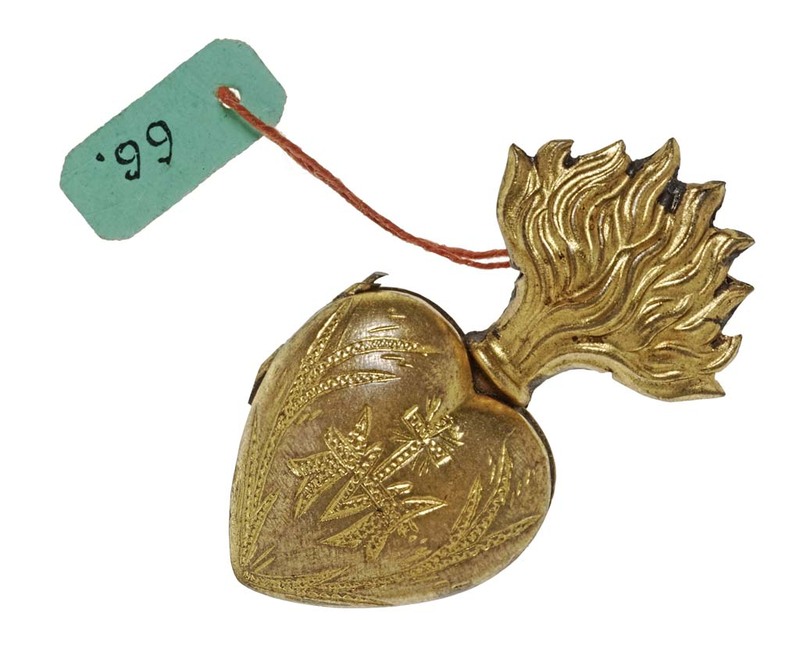 First up is this Sacred Heart from the de Mortillet amulet collection. What began as a vision by a 17th-century French nun, Marguerite-Marie Alacoque, of Jesus Christ showing her his heart entwined with thorns and flames turned into an active cult of worship in France. There is a Sacred Heart feast day, the symbol was adopted for protection during the French Revolution, and of course there is the famous white church of Sacré-Cœur Basilica at Montmartre in Paris. 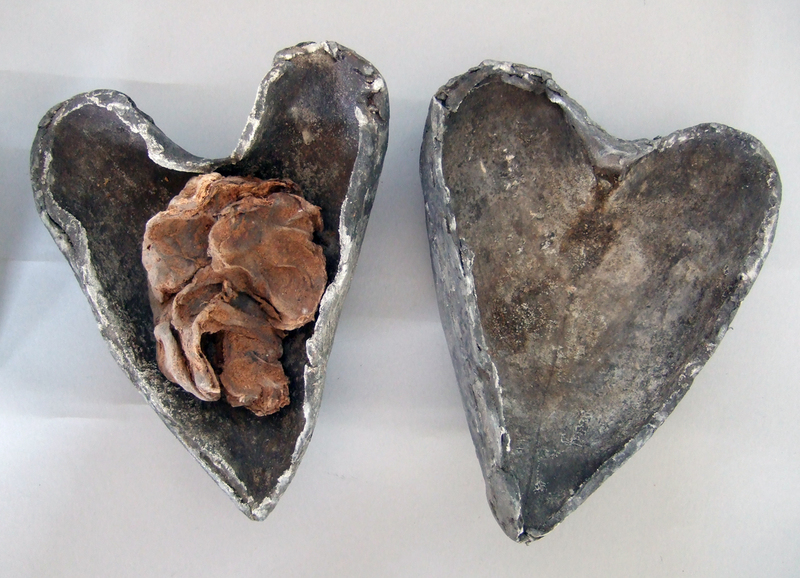 Next is a rather more gruesome heart object - a preserved human heart in a leaden case, discovered in the medieval crypt of a church in Cork, Ireland and collected by General Pitt Rivers in the 1860s.